Hazel Baskin Cunningham, 57, passed away on Monday, February 4, 2019, at her residence. She was a member of Fellowship Missionary Baptist Church. 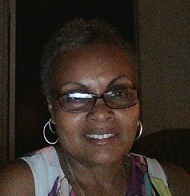 She is survived by her husband, Anthony Cunningham; two sons, Kenneth (Tenisha) Johnson, Brandon Johnson; one granddaughter, Shakiya Johnson; two stepsons, Anthony and Marcus Bell; step-daughter, Emma Cunningham; father, John Baskin; three sisters, Geneva (Reginald) Garner, Rose (Thomas) Greene, Mary (Steven) White; one uncle, Joe Jefferson; a very devoted cousin, Kenneth Bass; a host of nieces, nephews, cousins, other relatives and friends. She will lie in state after noon on Saturday, Feb. 9, and a visitation will be held from 6–7 p.m. at the funeral home. A funeral service will be held at 12:30 p.m. on Sunday, Feb. 10, in the chapel. Interment will be in Greenwood Cemetery on Monday, Feb. 11, at 10 a.m.